Ramona, San Diego is an amazing place to live. Our open farmlands and temperate climate makes a great place to live. Fearing flood and water damage should not be a part of your daily problems. The professionals at Superior Cleaning and Restoration Inc. are here for you 24/7 for any of your water damage emergencies. What is considered extreme water damage? Floods can happen anywhere, at anytime. You could be in the middle of Death Valley and have a tanker truck have an accident in front of your house, spilling hundreds of gallons of water into your home, causing flood damage. We have seen some truly amazing incidents of flood damage, giving us the knowledge to handle anything you can throw at us. 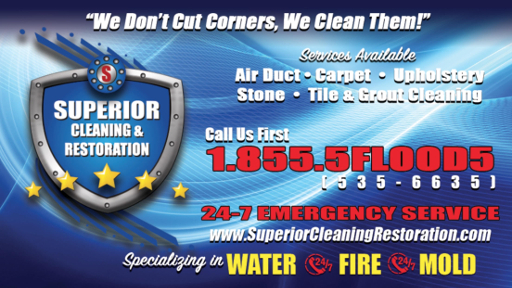 At Superior Cleaning and Restoration Inc., we handle the most extreme water damaged properties with professional care. Feel at ease knowing your property will be restored to a superior state. I am freaking out about my water damage, what should I do? Relax, pick up the phone, and call us. Superior Cleaning and Restoration Inc. deals with the damages of water daily. It is our job to make you feel at ease by dealing with the insurance company to get you whole again. We make sure that you are provided with a superior service. How long does it usually take to repair damage caused by a flood? It varies depending upon the flood damage. Call Superior Cleaning and Restoration Inc. to get an estimate on the length of time necessary. We can work with you to meet reasonable deadlines, leaving your property in a superior state. We also work with many major insurance companies to get you back to a superior state before the damage occurred. The weather in Ramona is pretty constant, but the weather is not the only cause of water and flood damage. No one is 100% prepared for a for water damage, and that is why the professionals at Superior Cleaning and Restoration Inc. are here to help. Don’t stress, pick up the phone, and get back to where you were before any water damage occurred.